This is proof that eating healthy and dieting doesn’t have to taste bad. As we have said, all of us here on Glen Road are trying to shed a few pounds. Being on a diet is hard enough, but being on a diet on the weekend (especially in a house that loves to cook and eat) is crazy difficult. So we decided to plan out a few meals that we would cook and eat over the weekend to make sure we were still in the kitchen, but eating foods that are healthy and good for us. 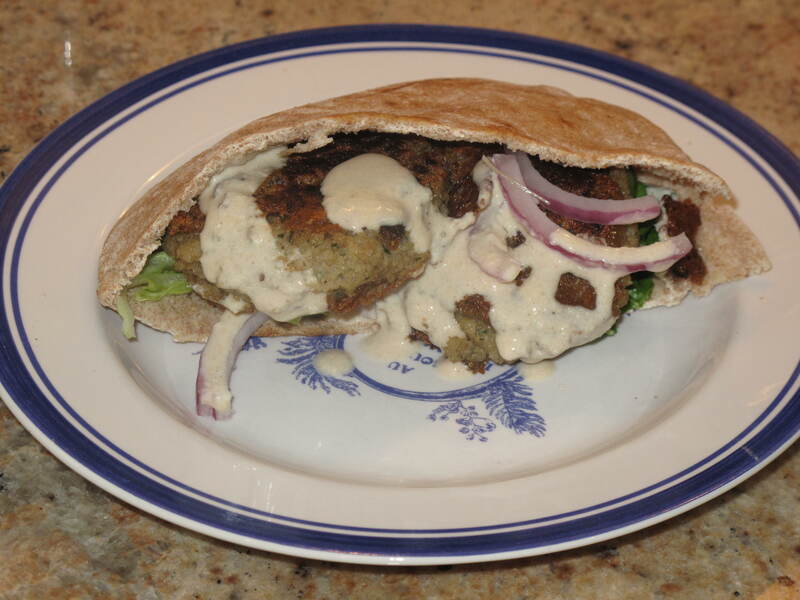 This is a recipe for a healthy sandwich we put into whole-wheat pita pockets. We modified it from a recipe that is in a cookbook titled ‘Power Foods’ which is from the editors of ‘Whole Living Magazine’. 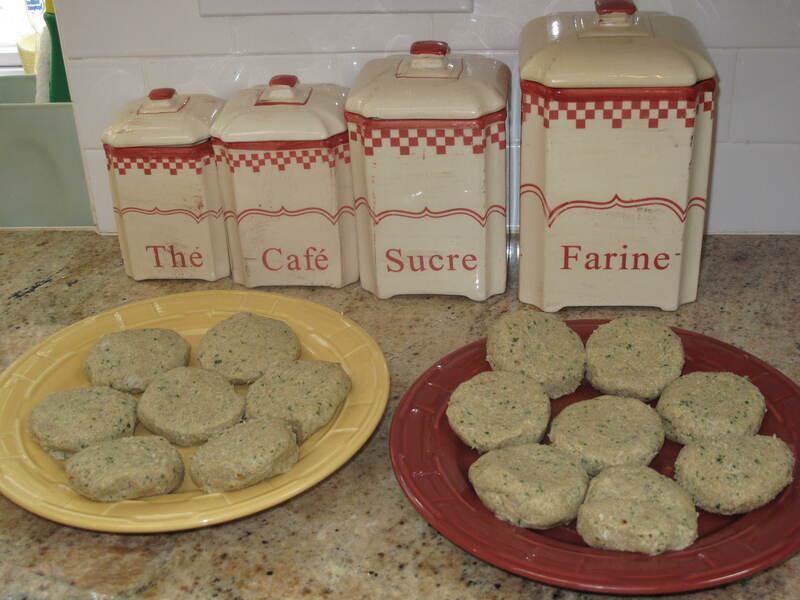 These patties are inspired by the Middle Eastern dish kibbe, most often made with ground lamb and bulgur wheat. This pita is stuffed with great vegetables, patties made up of a mixture of turkey and a grain called quinoa and finally topped with a drizzle of an easy tahini dressing. The combination of turkey and quinoa is very rich in protein, with a chewy texture that contrasts nicely with the crisp vegetables and the creamy tahini dressing drizzled on top. 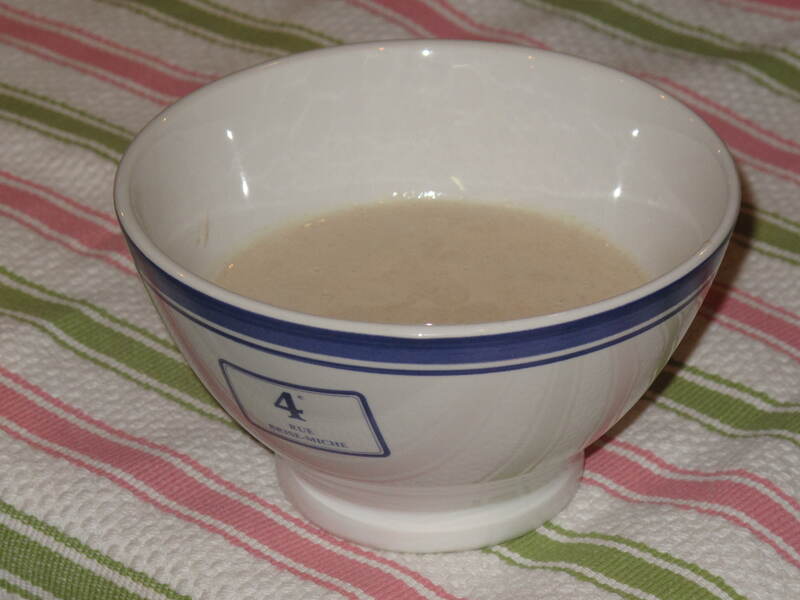 Tahini is a very thick ground sesame seed paste. 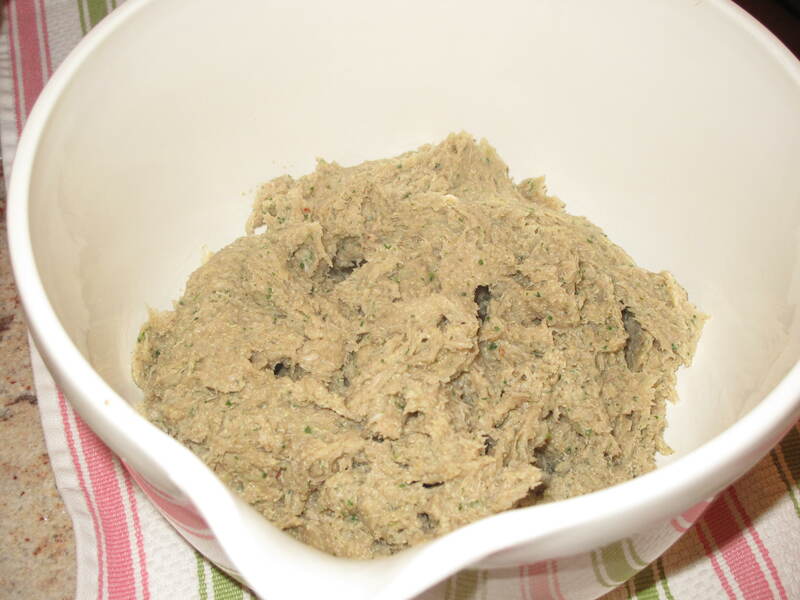 The paste is turned into a dressing by adding lemon juice and garlic. Let’s dig in! 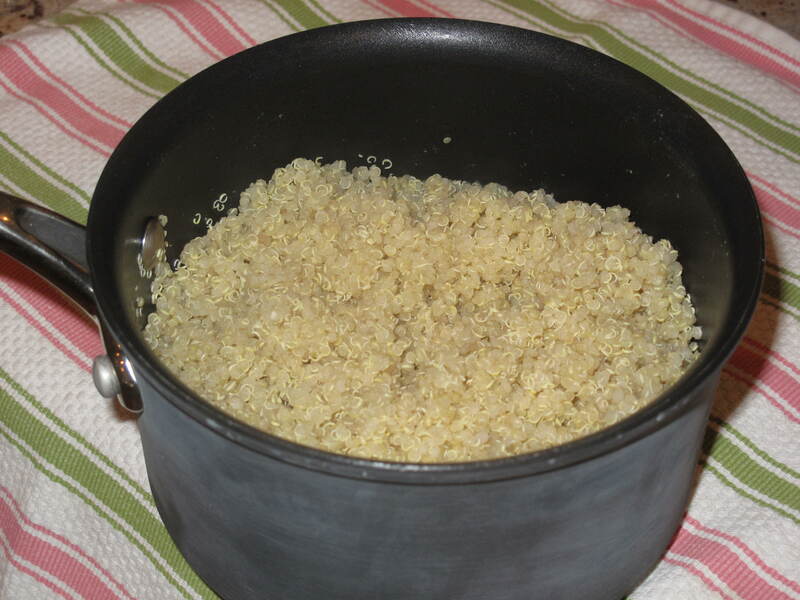 Rinse quinoa thoroughly in a fine sieve; drain. Bring 2 cups water to a boil in a medium saucepan. Add quinoa; return to a boil. Stir quinoa; cover, and reduce heat. Simmer until quinoa is tender but still chewy, about 15 minutes. Fluff quinoa with a fork; let cool. Meanwhile, process garlic, tahini, lemon juice and 1/4 cup cold water in a food processor until smooth. If necessary, thin with water until pourable. Transfer dressing to a small bowl; cover. Refrigerate until ready to use. Put turkey, spices, parsley, scallions and salt in a clean bowl of the food processor; pulse until a smooth paste forms. Add quinoa; process until mixture clumps around the blade, about 2 minutes. Transfer to a bowl. The mixture is somewhat sticky. With dampened hands, roll about 2 tablespoons quinoa mixture into a ball; flatten slightly, and set aside on a plate. Repeat with remaining mixture. We scooped the mixture out of the bowl with an ice cream scoop to ensure each patty was uniform in size. Heat a skillet or grill pan with 2 teaspoons of the oil over medium heat until hot. 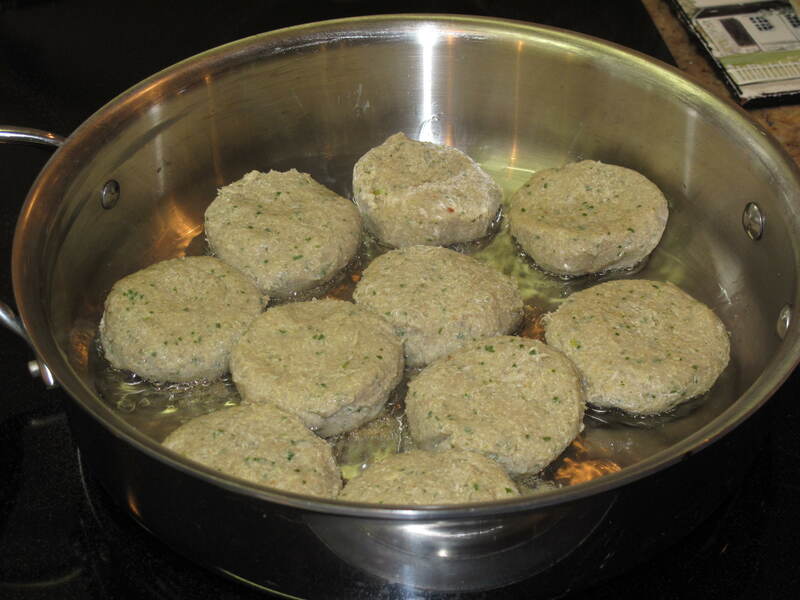 Working in batches, cook patties in skillet, turning once, until cooked through, about 8 minutes per side. Transfer patties to a clean plate and loosely cover with foil to keep warm. Replenish oil in pan as needed. 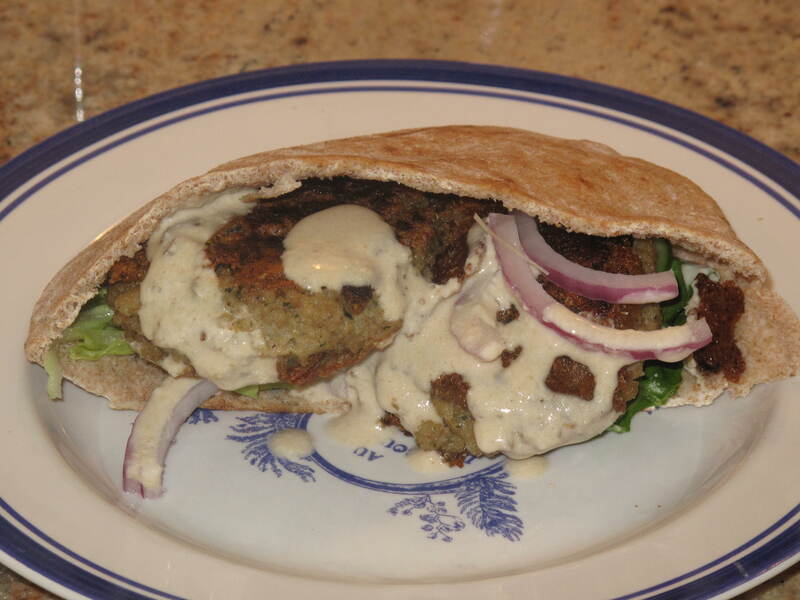 Divide lettuce, cucumber and red onion among pita breads; top each as many quinoa patties as needed to fill pita. Drizzle each sandwich with tahini dressing. The Glen Road group is a tough crowd when it comes to food. They tell the truth. You can be cooking in the kitchen for two days straight and they’ll look you in the eye and tell you that what you cooked didn’t taste very good. As a cook, someone’s honest opinion is the best feedback. These pita sandwiches got thumbs up from everyone. No one even complained that they were good for us as well. So if you are looking for something different for lunch or dinner (and good for you, but you don’t have to tell this little secret if you don’t want to), try these quinoa and turkey patties in pita. Very tasty! What recipes do you have that are good for starving Connecticut dieters? Summer is the best time to eat healthy, so many fresh vegetables. I love grilled vegetables, marinated ones, plain ones… anything fresh at this time of year. This looks wonderful! Hi Greg. Thanks for your comment. I didn’t think I was going to like these patties but there were great. It’s nice to eat something different every once in a a while. Take care and come visit soon. Say hi to Katherine. Good for you guys. Byran is taking credit for your turn to “light side.” It’s hard, but the health benfits are well worth it. The recipe sounds yummy. Can’t wait to try it. Take care! Hi kmart. The patties were really good. Different, but that’s nice every once and a while. Oh, they better make us shed a pound or two as well!! Come back and visit us soon. Hi Kathy D. Your salad sounds great. I will have to give that one a shot. Hope all is well. Come back and visit soon. Today we are having kraut with pork steak (cooked until falls of bones) and potatoes (they are in the kraut). My oldest son was introduced to kraut at the age of 3 by his grandmother. He couldn’t wait to get the second bite. Youngest son also loves kraut. Remember this receipe is Croatian decent with a lot of taste. Hi Carolkin. Sounds great. Come back and visit soon.